AAMCO’s Lafayette, Indiana service center has been recognized by the Greater Lafayette Commerce Committee for their dedication, innovation and entrepreneurial spirit. Owned by AAMCO franchisees Tom and Tricia Eden, the AAMCO Franchise in Lafayette has gone above and beyond to provide support its local community, donating time and more than $30,000 to local charities and nonprofit organizations over the past 12 years while continuously growing their business. Lafayette Mayor Tony Roswarski and State Representative Sheila Klinker honored the Edens with the award at a ceremony earlier this month. The Edens are committed to giving back to their local community. Most recently, they sponsored a young equestrian in the 2016 Tippecanoe County 4-H Fair horse competition – their sponsored rider took home the Blue Ribbon! On several occasions, the Edens have paid for customer repairs and driven customers to their destinations. 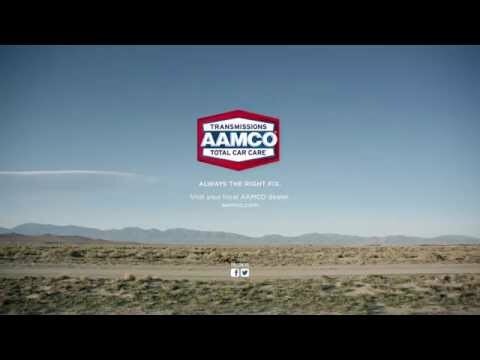 In addition, AAMCO of Lafayette offers discounts to both active and retired military personnel. The Edens opened the AAMCO of Lafayette in 2004 after years of searching for the right franchise opportunity to fit their needs. The owners have lived in the surrounding area for more than 25 years and are part of the Lafayette Chamber of Commerce and Lafayette Business to Business. Before joining AAMCO, Tom worked as an engineer and then plant manager for 20 years, while Tricia raised their four children and assisted with the daily operations for the AAMCO center.